IOLAN SDG2 TX Device Server: 2 X RJ45 connectors with software selectable RS232/422/485 interfaces, Extended temperature, 10/100/1000 Ethernet, advanced data encryption, user authentication and event management security features included, IPv6, COM port redirector, 15kv ESD, pigtail power connector included. 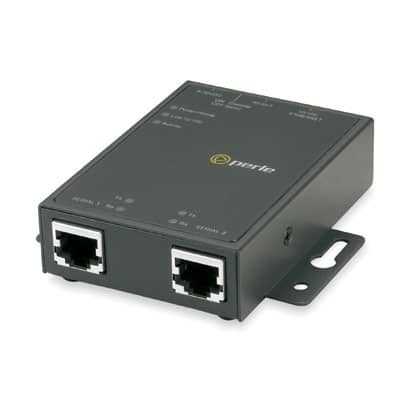 A Serial to Ethernet solution to web or network enable equipment with RS232, RS422 or RS485 serial interfaces that operate in extreme temperature environments of -40F to +165F (-40C to +74C). For complete product details and technical specifications, please visit our IOLAN SDST Device Server Product Page.